Apple is widely known for its consumer support and service department, but it seems like one Chinese user is getting the short end of the stick. In a rather lengthy post on Chinese microblogging platform Weibo, user 美国往事1999 outlines an encounter with Apple’s Tech Support and it shows us the amount of data we don’t even know companies have on us. 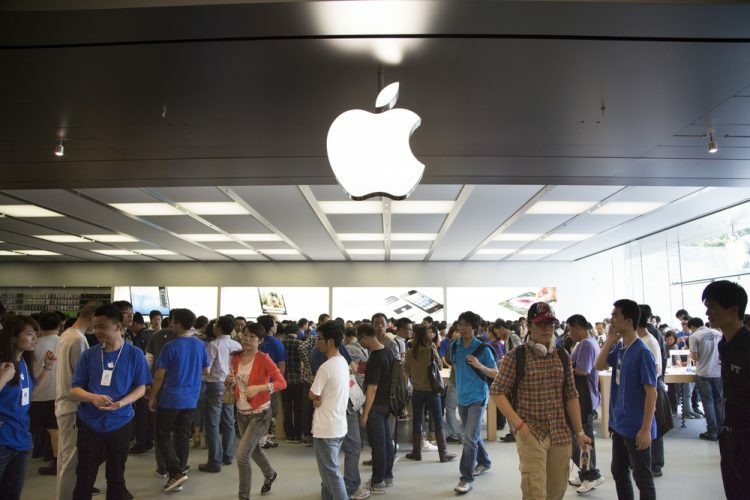 The Chinese user alleges that one of Apple’s Tech Support personnel illegally gained access to his personal info and blackmailed him, after a support call went awry. He claims the tech support worker had threatened him of deleting all his info stored in iCloud and barring him from using an Apple product in China for the rest of his life. This incident took place on February 28, the same day Apple transferred all of its Chinese iCloud operations to a local cloud company in Guizhou. The alleged victim in this instance says the Apple’s tech support personnel was rude from the beginning and refused to escalate the call to a senior support member or manager. After the phone call ended, the tech support personnel called the user and said that he’d utilized his power (granted by Apple) to invade his iCloud account and copy all his personal info. The blackmailer gave the user one hour to add him on QQ and contact him for all further steps. However, the Apple tech support guy never did call back and had changed all the user’s login credential to Hotmail and other email accounts. The alarming thing here is that Apple’s iCloud details stored all email accounts related to the person, even though only the iCloud email should have been visible. You can guess who I am. You should be afraid. I’m going to share your account and data with the world. If you’d like to chat, add this QQ. I do not want you to login in China again haha. In addition to spilling the details of his encounter in text on social media, user 美国往事1999 has also attached an audio file which contains the phone recording of threats doled out by Apple’s technical guy. The file is uploaded to Baidu Cloud and the conversation is in Chinese, so it is difficult to make out what the threats actually are. However, it definitely gives you a glimpse into your cyber data can be mishandled. This incident has been reported to the police. Apple contacted me this morning saying the employee was fired but declined to give any details. They refused to disclose how much my personal information and data that employee stole, what he had done with it. As for the current status of the blackmailing situation, Apple had reached out to the Weibo user and stated that the technical support worker in question has been discharged from duty. However, there’s no word on the user’s personal information and what might eventually come of it. So, take this as a major lesson in cybersecurity and I’d suggest you activate two-factor authentication on all your Internet accounts. It must be noted that Apple recently moved iCloud storage to China for its users in that country, and the incident supposedly took place at the new facility which also houses Apple support.